There is a book entitled The Millionaire Next Door by Thomas J. Stanley and William D. Danko. In this book, Stanley and Danko did a study of who millionaires really are, where they really live, and how they really live. Believe me, the way millionaires live is far different than most people think. If you enjoy reading, and are serious about becoming wealthy, I strongly recommend that you read this book. 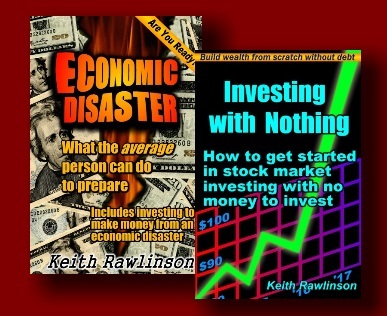 Do you need to read this book in order to become wealthy? No, but it sure does give you some interesting perspective on the whole concept of wealth. In this book, Stanley and Danko give a formula for determining if you are wealthy; but, before we can apply their formula, we have to first determine our net worth. You owe $80,000 on your house. You owe $10,000 on your car loan. You owe $8,000 in credit card debt. You owe $15,000 on a student loan. Your net worth is what you own minus what owe which is $139,000 (what you own) minus $113,000 (what you owe). Since $26,000 is less than $140,000 you would not be considered wealthy in this example. In other words, at age 35 earning $40,000 gross income per year, you would have to have a net worth of $140,000 or more to be considered mathematically wealthy. Do this same calculation using numbers from your own life to determine if you are mathematically wealthy. Don't be surprised if your net worth is a negative number. Many people owe more in debt than what they own is worth so their net worth is actually negative. Now, let's talk about wealth. Keep in mind, that this calculation merely reflects financial wealth. It is possible to have financial wealth but poor health, a family that is falling apart, no friends, and so forth. Would a person like this be considered wealthy? Financially yes, but they are lacking in the kinds of wealth that really matter--health and relationships. Also please notice that this calculation takes into account your age and income level. The older you are, the more time you have had to accumulate wealth, so the more you would need to have to be considered wealthy. Also to be considered wealthy, if your income is $20,000 per year, you would need far less in net worth than someone making $400,000 per year. In other words, you may not have as much money as someone else, but you may still be considered wealthy for your age and income level. That's why it is impossible to say something like "if you have a million dollars, you are wealthy." It depends on how old you are and how much you have to work with. What this means is that anyone can become mathematically wealthy for their situation. So, if someone who is say 26 years old and only earns a poverty wage of $12,000 per year has a net worth of $32,000 then they are mathematically wealthy! But, someone who is 46 years old and earns $50,000 per year who has $32,000 in net worth would not be considered wealthy even though they have the same net worth. Why? Because at their age and income it is reasonable to expect them to have accumulated a higher net worth. In fact, at this age and income, they would need to have a net worth of $230,000 to be considered wealthy! What this all means is don't compare your situation to someone else's to see how well you are doing. You don't need to have everything someone else has in order to be doing well financially. What I'm trying to say is always compare yourself to yourself to see how you are doing. Don't worry about the guy who has a million dollars in the bank. If you have saved up $1,000 in emergency savings and have gotten yourself completely debt free, you are doing great compared to where you were when you started. That's how you need to look at it. If you are going to compare yourself to others to determine if you are well off, than you would need to have more money than the richest man in the world; otherwise, there would always be someone else better off than you are! Look at where you are now, look at the things you need to accomplish financially and start working on them. As you make improvements in your life and accomplish each goal, you can feel great about yourself. It doesn't matter what others have--it only matters what you've accomplished in your own life. If your goal is to become mathematically wealthy, then use the Stanley Danko formula to figure out what your net worth would need to be. If your goal is to be debt free and better off than you are now, then ignore that number and ignore what other people have. Follow the techniques and strategies you are learning here on Eclecticsite.com's Financial Page, and the wealth will take care of itself. Worrying about keeping up with what other's have will not make you wealthy. You don't need to keep up with others to become wealthy, you need savings and you need a plan to become wealthy. And never forget that financial wealth is important, but it is not the most important kind of wealth.